Gov. 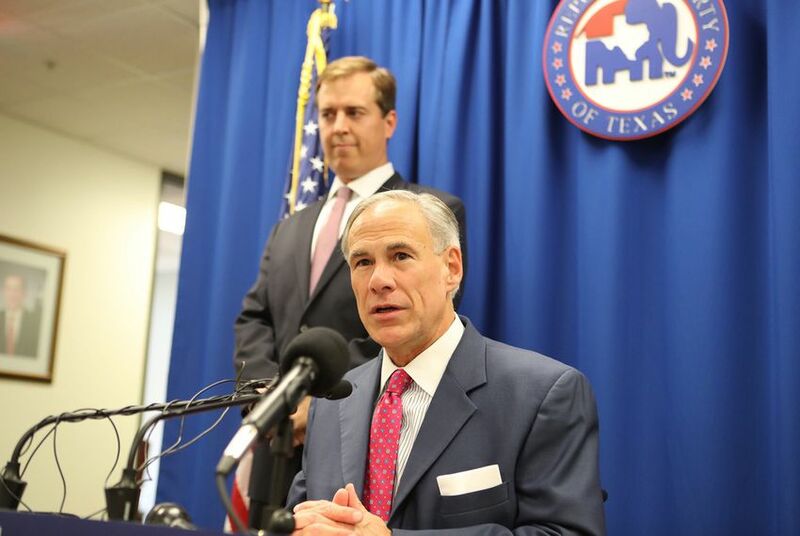 Greg Abbott announced Monday that he will appoint Jimmy Blacklock, the governor's general counsel, to replace Don Willett on the Texas Supreme Court once Willett is confirmed to the federal bench. Willett was nominated in September to the U.S. 5th Circuit Court of Appeals, and he is expected to be confirmed by the U.S. Senate in the coming weeks. At a news conference in Austin with Blacklock, Abbott promised Blacklock will be a "conservative vote" on the state Supreme Court. “We need justices with a conservative judicial philosophy who will apply the Constitution as it was intended rather than basing their opinions on their own personal agenda," Abbott said. "Jimmy knows that the role of the judicial branch of government is not to legislate or advocate from the bench. Instead it is to apply the text of the law as it was enacted by the people's elected representatives." Blacklock has served as general counsel for Abbott since the governor took office in 2015. Before that, he worked for Abbott in the attorney general's office. Asked about his decision to tap a staffer for the forthcoming appointment, Abbott told reporters that he considered "outstanding candidates from across the state of Texas." Yet when making the selection, Abbott said he went with a familiar face because he did not want to be "taking a risk hoping this person will turn out the right way." Blacklock's appointment is contingent upon Willett's confirmation by the U.S. Senate. That's expected to come next month, Abbott said, citing conversations with U.S. Sens. John Cornyn and Ted Cruz. Once appointed by Abbott, Blacklock would still have to run for re-election next year to Willett's Place 2 seat. Abbott promised Monday that he will campaign for Blacklock to make sure he secures a full term on the court. Rick Green — an attorney, former state representative and unsuccessful candidate for state Supreme Court several times over — had announced plans to seek Willett’s seat after the justice’s confirmation to the 5th Circuit, but bowed out Monday. Calling the situation a “win/win,” Green pledged to support Blacklock. Democrat Steven Kirkland, a district judge in Harris County, is also running for Willett’s seat on the court.